Caleb Chapman’s world-renowned Crescent Super Band has frequently been hailed as one of the best professional bands in the world. Critics raved about their performance at Carnegie Hall and they have played to sold out venues all over the world. Audiences are always in awe of their tremendous energy and musicality and routinely clap and stomp along to the contagious rhythms. Standing ovations are the norm for this hot group. If you’re looking for a corporate entertainment agency with a wide variety of first-class entertainment options, Green Light Booking is ready to deliver. Since the band’s inception, it has shared the stage with Grammy-winners Randy Brecker, Nicholas Payton, Jeff Coffin, Dave Samuels, Eric Marienthal, Ernie Watts, and well over 100 other guest artists. Caleb Chapman’s phenomenal band has been the featured performance group at many prestigious venues all around the country and the world, has taken home countless trophies, and wins the highly coveted award for Utah’s Best Professional Band year after year after year. The band has performed to enthusiastic audiences in major cities all over the world including Switzerland, Italy, France, Sweden, Denmark, and the Netherlands. Utah’s Crescent Super Band performs classic and current hits in their own vibrant, pulse-pounding style, and always leaves a lasting impression with crowds of all sizes and ages. 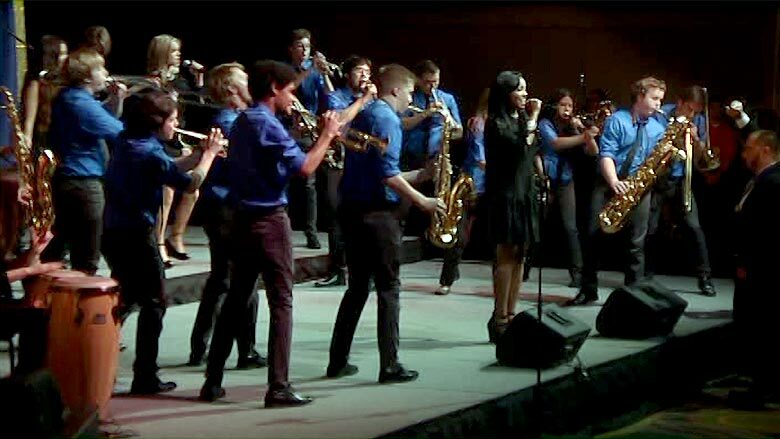 The band’s electrifying performances are the reason they beat out every other professional music group in the state to win the BOSS Award, an extremely prestigious honor that identifies them as the top professional band in Utah. This amazing group is one of the top big bands in the world, but don’t make the mistake of thinking that just because they’re young they won’t deliver like the veterans. These amazing musicians have been honing their skills for years and are the best that Utah has to offer. Unless you see them perform live you won’t believe how good they are. Their fresh versions of pop, show tunes, and movie themes will knock your socks off. They’re the perfect addition to any high-profile party, fundraiser, corporate function, convention, conference, meeting, dance, wedding reception, concert, awards dinner, or music festival. When you want entertainment that your audience will be talking about for years, go Crescent Super Band!